Our services and capabilities are far reaching in both onshore, offshore and swamp construction locations. Our team is made up of qualified, dedicated and experienced personnel.We focus on meeting and exceeding client’s target within project deadline. 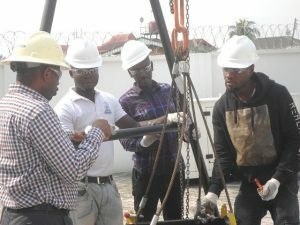 We have built reputation over the years in the inspection and certification of construction equipment and accessories and we use state of the art equipment to carry out our inspection and testing services. 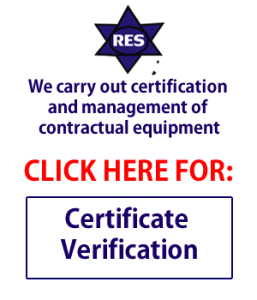 Our examination and certification of procedures ensure compliance with Lifting Operations and Equipment Regulations and other statutory regulations such as ASME OSHA, PCSA, FIA, CMAA, and manufacturer’s requirements. We also give necessary recommendations for repairs or maintenance to ascertain equipment integrity. Visual inspection of the mechanical, electrical, structural system, wire rope, chains, and safety systems. Non destructive inspection of the hook/or any other item suspected of having cracks or defective welds.